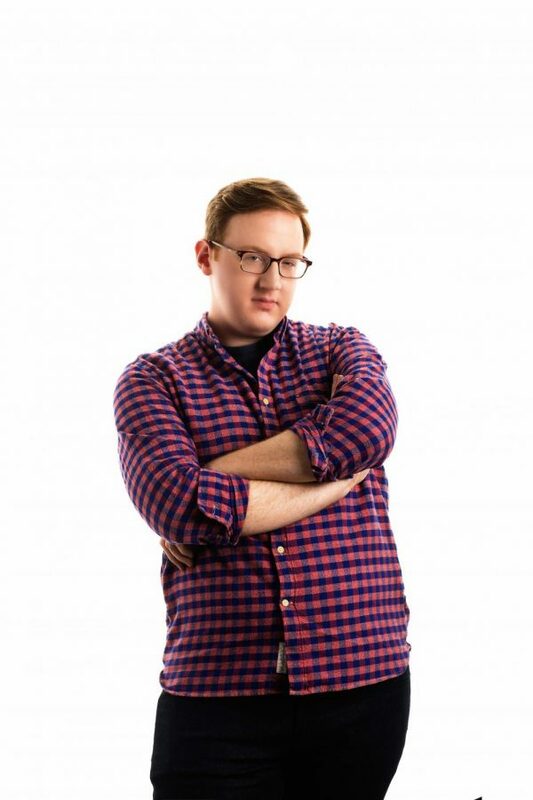 Matt Bellassai. After leaving BuzzFeed, Bellassai has gone on to start a podcast and write a memoir. It was during his journalism residency at a socialist magazine run out of an attic in Lincoln Square that Matt Bellassai (Medill ’12) realized he hated writing about politics. Instead, Bellassai discovered his true gift and eventual brand: complaining about people. Bellassai used that feisty storytelling style at BuzzFeed, his first job after graduation. As a journalism and political science double major, he intended to pursue a career in news but was intrigued by BuzzFeed’s style. “It wasn’t until after I got there that I realized if I have the option between (news and entertainment), I much preferred writing about fun and entertaining things,” Bellassai said with a laugh. Bellassai worked at BuzzFeed for nearly four years before he left to pursue solo projects. Since leaving Buzzfeed, Bellassai has created his own web series, completed two national stand-up comedy tours, produced a weekly podcast and published a book. It was at BuzzFeed that Bellassai became an internet celebrity after gaining fame for his “Whine About It” videos, which received millions of views on YouTube and Facebook. The premise of the “Whine About It” videos was simply Bellassai “getting drunk and complaining about stuff.” The series was his big break — as the videos steadily gained views, Bellassai began receiving calls about doing live shows and potential book deals, he said. Bellassai said he had not considered pursuing a career in comedy before “Whine About It.” He said he was always “incidentally funny,” but the idea of being in front of a camera or doing stand-up never seemed like a realistic job. But as Bellassai became more comfortable with his comedy chops, he wanted to explore other projects. There was just one problem: BuzzFeed owned all of his work, Bellassai said. When he approached BuzzFeed about branching out to do other projects, he said BuzzFeed gave him an “all-or-nothing offer”: Work at BuzzFeed on their terms or go solo. After leaving BuzzFeed, Bellassai decided to to stick with what he knew: complaining. He created a new Facebook page in January 2016 and started posting weekly “To Be Honest” videos in the spring. These videos were modeled after the “Whine About It” videos, he said, wine and all. After sticking to the status quo with “To Be Honest,” Bellassai dove into uncharted territory and launched a podcast, “Unhappy Hour,” in July 2017. While he said it’s hard to choose a favorite of his “babies” (how Bellassai affectionately refers to his solo projects), he said the podcast is at the top of his list. Running between 40 minutes and an hour, the podcast is modeled after a late night show, Bellassai said. Bari Finkel, the lead producer of “Unhappy Hour,” said the style of the podcast sets it apart from other comedy shows. Each podcast opens with a monologue about the craziest news of the week, which gives Bellassai an opportunity to joke about current events, a throwback to his political reporting dreams. Other segments include “Deep Dive,” which features a rant about a weekly topic, and an interview with a guest. Most recently, Bellassai uploaded a “A Very POT-ter Special,” in which he experiments with marijuana and interviews Evanna Lynch, who plays Luna Lovegood in the Harry Potter movies. Finkel noted that even though Bellassai has several projects going on, he always makes himself available and is able to keep all his balls in the air. Out of all of the projects that Bellassai has on his plate, it was oddly writing a book that seemed the most “doable” for him. Bellassai said “Everything Is Awful” was initially meant to be a humorous commentary on the inability of millenials, himself included, to handle the responsibilities of adulthood. Ironically, he said he had to channel his inner adult and break out of “college mode” to write the book, as churning out 200-plus pages wasn’t as simple as mustering his willpower and chugging a pot of coffee. In writing his first memoir, Bellassai said he had to relive some humiliation and heartbreak, ranging from his unrequited crush on his college roommate to choking on a taquito at his brother’s birthday party. He mined his memories and sifted through old Facebook messages to tell the tale of how he became “the bumbling idiot (he) is now,” he joked. Read more from March’s edition of The Monthly here.